Frankensteinia: The Frankenstein Blog: T.P.Cooke in Paris, in which the actor is stricken by gout, arrested by gendarmes, and paints himself green. Or is it blue? T.P.Cooke in Paris, in which the actor is stricken by gout, arrested by gendarmes, and paints himself green. Or is it blue? The Monster appears! 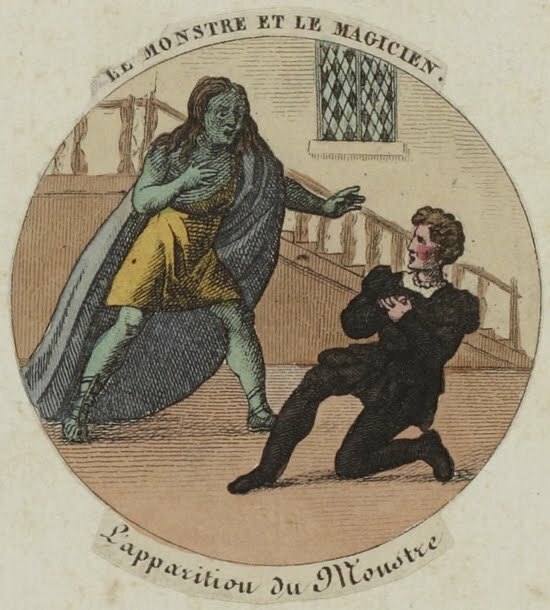 Yet another image from the blockbusting 1826 Paris run of Le Monstre et le magicien, again showing The Monster confronting its maker. 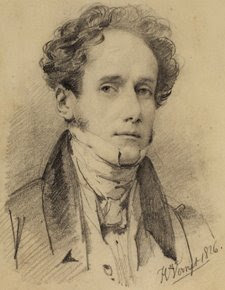 Béraud and Merle’s Le Monstre borrowed heavily from Richard Brinsley Peake’s Presumption, or The Fate of Frankenstein of 1823 — they even hired the original play’s Monster, actor T.P.Cooke. 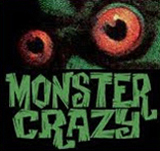 The Monster’s first appearance, as evidenced by the numerous illustrations it inspired, was the highlight of both plays. In a blast of smoke, lit by colored lights, The Monster bursts out of the laboratory. Frankenstein — Zametti, in the French version — pulls a sword. The Monster grabs it away and snaps it in two. 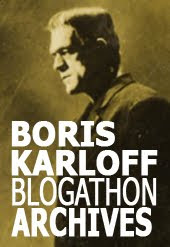 In the original London play, The Monster then ran to a large window and leaped to freedom. In the French version, The Monster breaks the sword, throws it down and vanishes on the spot, dropping out of sight by means of a trap door. Cooke was familiar with the perilous device, having used one repeatedly to extraordinary effect as Polidori’s Lord Ruthven, The Vampire, in 1820. Cooke’s trap door, which came to be known as a “vampire trap”, used rubber doors and sandbags as counterweight, innovating on an old stage trick. Upon his arrival, Cooke was stricken with gout, a painful affliction he blamed on the acidity of French wines. Laid up at his hotel, his foot wrapped in flannel, Cooke was unable to attend rehearsals but he rallied quickly and, relying on his familiarity with the part, he was able to make his June 10 premiere. Le Monstre was a phenomenal success, with police called out to handle the crush of sell-out crowds. On July 15, the Théâtre de la Porte Saint-Martin touted its triumph and spoofed its competitors with a vaudeville revue called Les Filets de Vulcain, ou le lendemain d’un succès (Vulcan’s Nets, or The Day After a Success). Cooke participated, speaking heavily accented French and sans makeup, in a sketch called Le Monstre. Monstre vert or Monstre bleu? Either way, T.P.Cooke’s Parisian adventure was a colorful affair. The Théâtre de la Porte Saint-Martin website. The National Library of France Digitial Library site, Gallica. Pierre, all this coverage of the first horror star (I think that's fair) is fascinating. Thanks so much. By the way, I vote bleu.